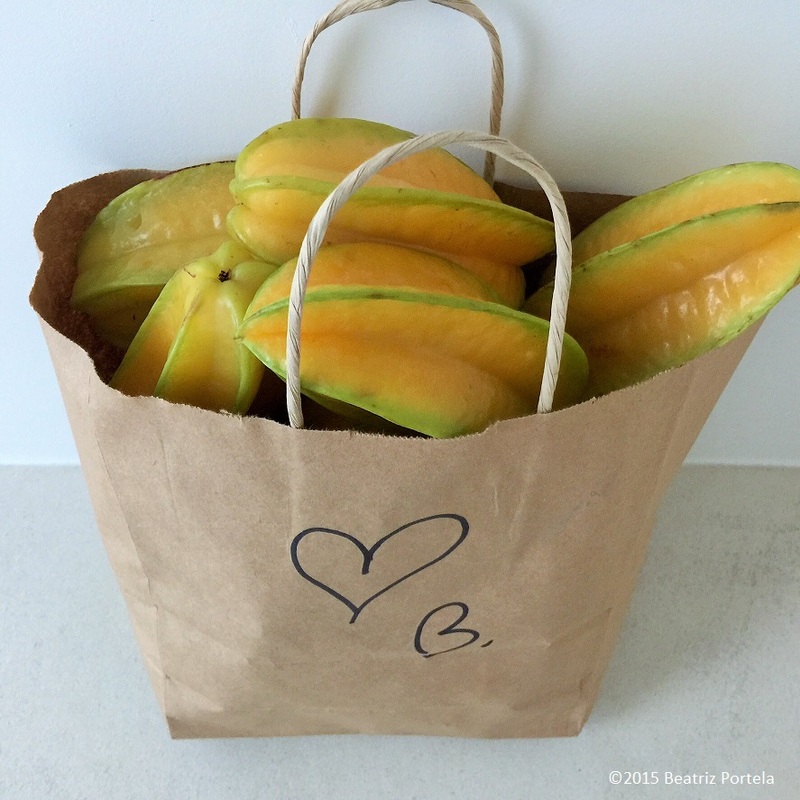 I delivered this Carambola Care Package to my nice neighbors on the left side of my home and to their housekeeper. The housekeeper used to work at my place once a week, for the prior owners. They had told me that she loves Star Fruit. Since they don’t grow any in their yard, I want to make sure to keep them all stocked up with the fresh fruit from my trees. As for my #NeighborWithCameras on the right, they are on the Naughty list so they don’t get fruit. What they get is more water thrown onto the Clusia hedge separating our two houses. The hedge has almost grown tall enough to cover their security cameras that are pointing at me! For more information on Carambola you can check out: Star Fruit For recipes go to: Avocado/Star Fruit Salad, Carambola/Blueberry Smoothie, Carambola/Papaya Smoothie. That’s very nice of you to share. Reminds me of my home in the Caribbean, all the neighbors share whatever fruit is in season. Carambola *we call it five fingers* is one of my favorite fruits!